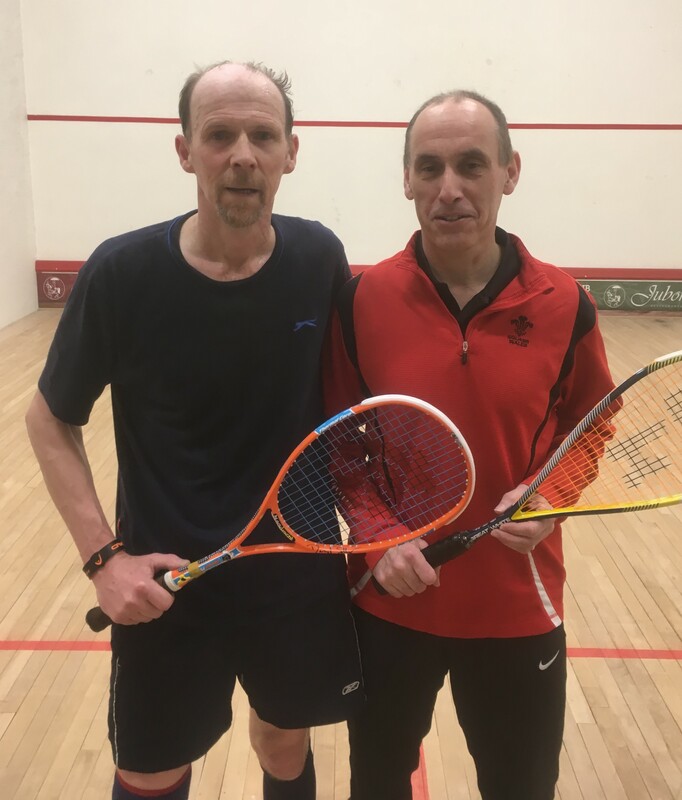 Northumbria squash had two representatives in the Welsh Masters Squash Championship at Rhwibina club, Cardiff, last weekend. The longsocks brigade of Adrian Alderton (Hexham) and Jon Evans (Tynemouth) competed in the over 60’s and over 55’s competitions. Jon Evans, the current Northumbria O55 champion, was rightly seeded No.1 and took the honours in the O55’s competition at a stroll, with assured performances winning every round 3-0 and finally beating local player Tony Smith to take the Welsh O55’s title. 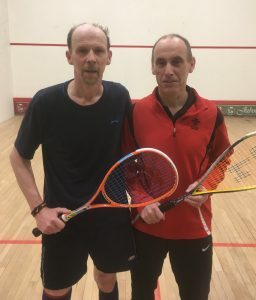 Hexham player, Adrian Alderton, originally from Abergavenny, had some tougher matches in the over 60’s competition, mainly as he’s not as good as Jon, but also as he had to play to 15 whereas the youngsters only played to 11! A standout performance in round 2 saw victory over No.1 seed Alan James, with Adrian just taking the third and fourth games 15-13 in an exhausting 3-1 win. In the final he met David Wright who plays out of Henley-on-Thames. Most unusually, Alderton was quick out of the blocks looking set for a first game lead but was pegged back by accurate drives and drops from David and pipped 15-13. An equally close second game was a reversal with Adrian fighting back to secure it 16-14. With both men tiring after an arduous weekend, Adrian’s more varied game and lower error rate proved successful taking the third, then fourth 15-11, for a 3-1 success.